Peggy Whitson woke up this morning to break a record after spending 535 days in space. In November 2016, Whitson and two other astronauts, from Russia and the European Space Agency, blasted off for the International Space Station to conduct hundreds of experiments in biology, earth science and how lighting affects the crew. The other two are sticking to the schedule, but Whitson, the commander, was just extended by three months, taking advantage of an empty seat when Russia decided to reduce its crew by one. 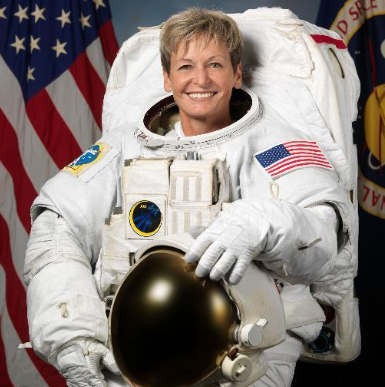 Her career total of 535 days in space, compiled over three trips to the space station, breaks an American record previously held by Jeff Williams. He has flown four missions, including on Space Shuttle Atlantis, and returned from the space station just last September. It's not Whitson's first record. She has logged more hours spacewalking than any other woman 57 hours and 22 minutes over eight spacewalks. She was the first woman to command the space station. And at 57, she is the oldest woman to travel to space.